Our carriers do their best to ensure safe delivery to your home, but sometimes international transit can get bumpy. When the unpredictable happens, SafetyLinx has your back. Our shipment value protection feature covers your items from loss or damage when in transit from our warehouse to you. Having one less thing to worry about is always helpful. If your shipment is valued under USD 250, you can add SafetyLinx at shipment release when you want it. SafetyLinx is required for shipments valued at USD 250 or more (or local equivalent) and is automatically added at shipment release. 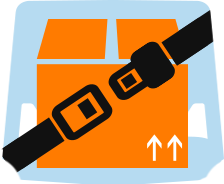 A fee of 1.75% of the combined shipment value is charged to SafetyLinx orders. Don't panic. You're prepared for this. 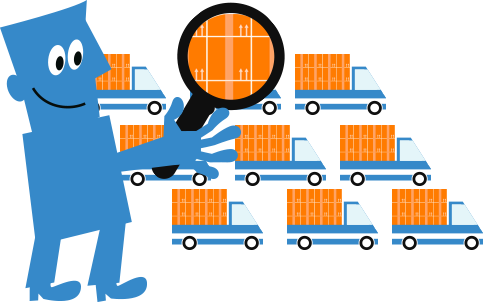 If you think your shipment is lost, we'll help you track it down and start a claim if needed. Contact our customer service team here. If your shipment has visible signs of damage upon delivery, make a note of it on the courier receipt that you sign. Then open the shipment and carefully inspect your items. If damaged, follow our step-by-step process to complete a claim. As a Borderlinx customer, you're our top priority. We know that dealing with claims is not very fun, but we promise to resolve them as quickly as possible. For more information about SafetyLinx, visit our FAQs.